At this point you’d be forgiven for thinking that we’re all about to enter some sort of new digital utopia, except the political spin overlooks the reality of how these measures will actually be implemented. Likewise it seemingly only pays lip service to the huge scale of opposition from ordinary people (protests and a petition by 4.7 million people), tech companies (both big and small), internet pioneers and even many Rights Holders. “This deal is an important step towards correcting a situation which has allowed a few companies to earn huge sums of money without properly remunerating the thousands of creatives and journalists whose work they depend on. Axel isn’t being entirely honest. Broadly speaking the changes will still place new restrictions on the sharing of news content and threaten mass automated internet censorship for platforms like YouTube. Suffice to say that the way internet content and distribution works today is about to change and seemingly not for the better. The most controversial aspect of the new directive is article 13, which impacts commercial Online Content Sharing Service Providers whose main or one of the main purposes is to “store and give the public access to a large amount of copyright protected works or other protected subject-matter uploaded by its users which it organises and promotes for profit-making purposes” (e.g. popular video and picture sharing websites). The seismic change here is that Article 13 makes intermediaries (instead of end-users) liable for uploads by their users, which it partly achieves by effectively expecting such sites to pre-emptively buy licences for anything that users may possibly upload (unworkable in many cases). For example, imagine uploading a video to YouTube and, without realising it, you have a music track playing in the background. On the one hand many people would argue that this helps to promote such content and is thus a benefit, but on the other the website would now take on liability for your use of copyright material (most likely without permission from a rights holder because how many ordinary people would get that or even know where to begin?). Mercifully there are some softer rules for small sites (blogs etc.) and exceptions exist for content that has been created for the purpose of quotation, criticism or review, as well as any use for the purpose of caricature, parody or pastiche. The trouble is that these exceptions would be difficult for manual moderators to judge, particularly on a vast website with millions of people uploading content around the clock (impossible to keep up). Commercial companies thus won’t want to take the risk that they could suffer a cancerous inheritance of liability and so the inevitable outcome would require them to implement automated filters (aka – “content recognition technologies“), which scan for and then block copyrighted videos, photos, music, text or code in user submitted content. However such filters tend to be very dumb and expensive tools, which can act aggressively in order to protect the operator against assuming any principal liability for something a user has shared. The end-result is typically significant “over-blocking” of often lawful content (censorship) and a vast amount of existing content may also face removal. 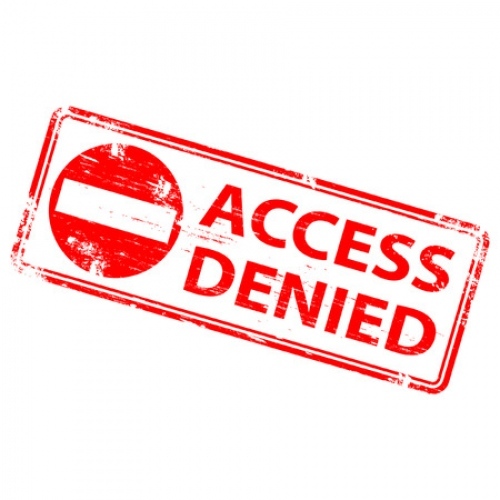 As a side note, if a court were ever to find that that the licensing or filtering efforts adopted by a site were too weak then they would be held directly liable for infringements, which again reinforces the need for such sites to adopt the strictest possible filtering systems. Hello censorship. One positive change however has been the new “best efforts” requirement for rights holders to provide “relevant and necessary information,” which means they’ll have to actually work closely with sites like YouTube first if they want such filters to act against infringing content. As any internet user should know, the ability to link to content on another website and to optionally provide a short summary (snippet) of what it’s about (context) is a founding part of how the internet works and the related distribution of information around the online world. Web links are the lifeblood of visitor growth for any website and it has always been considered good “internet etiquette” to link your sources. Without this, new or existing websites would struggle to grow. Today the internet is filled to the brim with hundreds of thousands of news and information sites, many of which are quite specialist (e.g. ISPreview.co.uk for broadband and telecoms) and support a lot of jobs, but these have long been eroding the market for older media. As a result old news media, such as printed newspapers or magazines, tend to dislike the internet because of how it harms their established model. Many of them have tried to adapt by adopting paywalls for their content but that has only been of mixed success (reduces visitor traffic) and thus they’ve lobbied hard for Article 11. Article 11 aims to tackle the so called “value gap“, where rightholders claim they’re not being fairly remunerated for use of their works online on user generated sites when compared with similar licensed sites. This essentially creates a situation where you can still link to a news story but only alongside “individual words or very short extracts” (no images or long quotes etc. ), otherwise you’d need to get paid permission from the source. However the new law creates a number of tedious problems. Firstly, there’s no clarity on what “very short extracts” actually means and whether the words used in a website address (URL) would count towards this (i.e. this will probably be decided in the courts). Secondly, a lot of sites get noticed through news aggregation services like Google News or NewsNow, both of which may now have to strip their content displays down to a bare minimum (no pictures or quotes). Google has even threatened to shut their news service completely. Spain introduced a similar law in 2014 and Google promptly shut their service, which resulted in significant revenue and traffic falls for news and information websites across the country. The problem would be magnified in the UK, where such news and information sites are much more common and could thus have a noticeable impact upon the economy. On top of that periodical publications published for scientific or academic purposes, such as scientific journals, are not covered by the protection granted to press publications under this Directive. Neither should this protection apply to “websites, such as blogs, that provide information as part of an activity which is not carried out under the initiative, editorial responsibility and control of service provider, such as a news publisher” (vague since the definition of a blog and news publisher in this context may be open to interpretation). All of this is somewhat nonsensical since it only makes it harder for online websites to attract visitors, although in that sense it would clearly hurt new online media more than the old traditional printed media. However the UK Government’s Intellectual Property Office (IPO) did inform us last month that this right “will be waivable and rightholders will be able to choose whether or not to enforce it,” which suggests that news aggregation providers might be able to post more info. (quotes and pictures) if the source gives permission (e.g. without requiring payment) for them to do so. Finally, the new article 11 rights will expire 2 years after the publication of the press publication (calculated from the first day of January of the year following the date of publication), which means that quoting from stories older than that should still be fine. “These rules will impose upload filters on platforms, impacting the competitiveness of European innovative SMEs, and leading to the over-blocking of legal content. Article 11, if adopted, would change the Internet as we know it: an ancillary copyright would affect small platforms and innovative online publishers, while limiting the ability of European users to use hyperlinks and share snippets online. Ultimately, this would have a significant negative impact on freedom of expression in Europe”. A final vote is now expected to be taken by EU member states sometime during March or early April, but this process tends to reflect little more than a rubber stamping exercise and is unlikely to result in a major change. On the other hand the weight of opposition suggests that there is still room for an upset, although so far the EU (both its left and right wing blocks) have been diabolically bad in equal measure at listening to opponents. At this point it’s hard to shake the feeling that far too many politicians continue to put the interests of their citizens and smaller players last, either that or they really don’t understand how the internet works (possibly both). Meanwhile anybody who mistakenly thinks that Brexit will stop this from impacting the UK should be cautious. Regardless of what the EU approves, the UK might still have to implement it (we won’t know for sure until a final deal is agreed or not) and in any case the current Government has so far supported most of the controversial measures. Special credit to Julia Reda MEP for helping to shine a light on these measures when others wouldn’t. In a curious move the EC has written a blog of its own (here), which rather broadly appears to brand opponents of the changes as a “mob” supported by “paid-for campaigns.” Nice. No doubt that’s not in the least bit insulting to all those independent individuals and groups who have raised legitimate concerns about the new laws and their potential impact. In a comical twist the EC has now removed the above linked article because it is said to have been, “understood in a way that doesn’t reflect the Commission’s position.” Luckily the internet never forgets (here). I’m not a fan of this and would very much like to hear the justification from the Council on this progressing. Its largely driven by a familiar mix of European Anti Americanism (esp Big US firms who are what this is directed at) and protectionism of the dead tree press domestically. Add in the complete ignorance of technology and we get this. That said from the people who brought you ‘only EU firms can have .eu domains’ are you that shocked? Does this still apply to us on the 30th of March? I know it’s the net so goes all over the world just wondered. In order to answer that with any confidence we’d first need to know exactly what’s going to happen at the end of March. Good luck figuring that one out 🙂 . However it should be noted that, whatever happens, member states will still get up to 2 years to implement the changes. Thanks Max. To be honest it’s quite likely the UK will leave in March without a deal. I’m sure leaving will make your life far better. Enjoy the welfare cuts as the already wealthy make their money from the ensuing chaos. Plenty of opportunity there for some, you not being one of them. kinda off topic here, but l doubt we will leave without a deal… May keeps pushing the same deal again and again and unless something drastic happens but l can see her ramming her deal through then the Conservatives getting kicked out by which time it will be too late to do much which begs the question of why she is so intent on her deal which lm sure is hidden in the small print. I tend to agree we wont leave, unless May is dragged screaming and kicking – out of the EU. Most MPs know which side their bread is buttered, and a nice, well paid and cushy job in the EU bureaucracy is the aim of many of our “elected” servants. She will delay, and delay again, and keep on delaying until all but the most hard nosed Brestiteers have had enough and say “fukit, then, lets stay in”. OOOPs, that s should have been an x.
I’m beyond caring as long as it’s smooth. The people who are looking to make money from the chaos can do one, the people braying for no deal who are too thick or too ignorant to realise what’s at stake have my pity. Should never have joined to begin with: far too far up ourselves to play nicely with the other children. Have to agree we should never have joined, the EU is a bad fit for our national psyche. We don’t have the same historical background as France and Germany to frame our outlook. Thatcher was often at odds with the EU, and rifts over the EU ended her leadership, Major was nearly brought down over Maastricht, James Goldsmith launched the Referendum Party, Tony Blair promised an EU referendum(Nick Clegg also supported a referendum in the past), UKIP – from nothing in the 90s- became a major political force with the largest number of MEPs. So the 1975 referendum solved nothing, ever closer union is a bad fit for the British. Having said all that, take a look at discontent across Europe, there aren’t many(any?) Brexiteers in France’s mainstream media but recent polling showed a Remain/Leave split of 60% vs 40% – and that should be framed in the context of bad news from Brexit and the fact that the French know they would have to extract themselves from the euro to leave. It wouldn’t take much of a swing in those figures to bring them close to 50/50. I spent my life in UK exporting industry getting sh*t from the EU countries who seemed determined to fk us over whenever they could – single market my ar*se, Level playing field – yeah right on – errr not. Anything they could do to stop us getting orders was the name of the game. In fact it was easier doing business in just about any other country in the World except the EU ones: so we did. In the end we did virtually no business in the EU – it was pointless trying. Recruitment consultants in the Industry reported all candidates saying the same thing. Even in leisure industry there was the saga of the UK qualified ski instructors banned, fined, threatened with Jail in France until a decade or more later finally at long last the EU court told France to obey the rules – but hey that is 10 years delay they eeked-out in accepting valid qualifications. Next as a leisure/hobby Glider pilot I’m going to have to have a Pan Euro licence plus a more severe medical exam meaning those with type II diabetes may fail it and be banned – all at more cost because the EU (ie EASA) have decreed all national licenses and their rules will be null and void – well that is nice. Let’s get back on topic and focus on discussing the new directive specifically. Thanks. Well said Peter, we found exactly the same issue in exporting to the EU and tying up agreements. I voted remain, but would vote leave now after seeing the desperate attempts by an unelected EU executive and the liberal elites within the UK to try to circumvent democracy. The regulations Mark drew attention to impact those publishing and hosting the content. Your accessing sites via a VPN doesn’t really do much for them. LOL will be interesting how the enforce this considering every search engine on its own when it returns results can sometimes quote a third or more of an entire news item. I can not see the likes of Google, MSN, Yahoo, DuckDuckgo and more scrapping their news feed or description for results entirely. I also suspect any attempt to make them do so will result in a nice court case that lasts years over fair use and rights. The only people this will affect easily is the entitled generation. Who like to monetise ‘their’ content, by taking the content from elsewhere, see they do not have to get a real job. Which in some regards will be a good thing. Ultimately i doubt we will visually see much difference. entitled generation? l dont disagree it will affect some who take their content from other sites but personally l see the entitled generation as being the ones pushing for these laws, after all the only ppl it benefits are those who think they are entitled free reign of our wallets. The entitled generation do not know what they want or what they do not want. There are a bunch of mootubers who have in the past moaned about their content being stolen by other uploaders and now are moaning about a law that is aimed to stop that happening. If you read the UPDATE by mark in the story above and what the EU has to say with the “mob supported by paid-for campaigns” line that is who i would like to think they are aiming their comment at rather than independent news sites like this. Entitled half wits who think any rules are unfair, until they suit them. The mob that will speak, sponsor, review and say anything and everything on the likes of mootube as long as they get paid, get views, get more sponsorship. Then in the next breath/video they go into an all anti-capitalist rant, or whinge about something being unfair, or products/opinions being dishonest when they thereself are often part of the disease they rant about. Frankly if it gets rid of them id say its a good thing. Unfortunately i can not support it, as others have pointed out there is bound to be real innocent carnage in the process which is a shame. Ultimately they could had targeted these laws much better, as they stand though it will also punish the honest people that do try to report facts, rather than just ridding ourselves of the entitled lazy fools, that will say anything to get a view or a penny. Hopefully the UK leaving will bring about the down fall of the EUSSR so the remaining members don’t have to suffer much longer. Yeah but don’t we have to continue to abide by EU laws for a period of 5 years after we split? This is part of the absolute joke that people think Brexit involves us taking back “power”. When we do any business with Europe we will have to abide by their laws, laws which we once had a say in making and will now have no say but must still abide by. Good luck us saving ourselves from this blunder with a different blunder. No, Stephen, we only have to apply EU laws should we enter a transition period with them. Which is risky given that, depending on who you speak to, they manage to be both Neo-Liberal (see Jeremy Corbyn wanting to leave due to State Aid rules preventing his socialist panacea) and Communist (see random calling them the EUSSR) simultaneously. Of course we will have to apply their regulations in any trade with them. The EU is a large enough economy that, alongside the USA and to a much lesser extent China, it sets the rules of world trade and the conditions under which other nations trade with its bloc. If people want to export to a country, they must abide by their regulations, the rest who don’t shouldn’t have to as well. Or most likely Brexit will cause the UK to disintegrate when Scotland and NI decide that they’re better off without the English and their imperial nostalgia. More than happy for the Scotland and NI to leave, two less problems to deal with. VPN will probably be next on the ban list. Little surprise then that Michel Barnier warned there is “a Farage in every country”! Can the EU not see why..